Hola peeps! I hope all is good with ya, this has been a very hectic week for me. Time has flown by and August is here with that comes the September issues which covers some of the best in Fall shopping. In this digital age I still adore mags, no one can tear me away from Essence and Lucky (my faves!). Here are a few September issue covers of Essence, Vogue, Glamour, Lucky and Elle—all which feature fab and fierce ladies- Jada Pinkett-Smith, Lady Gaga, Eva Longoria, Victoria Beckham and Katy Perry. Jada looking fab on the Essence September issue cover. Lady GaGa rocking a massive fro (kinda) on Vogue’s September issue. Victoria Beckham glowing on Glamour’s September issue. Eva Longoria is looking fit on Lucky’s September cover. 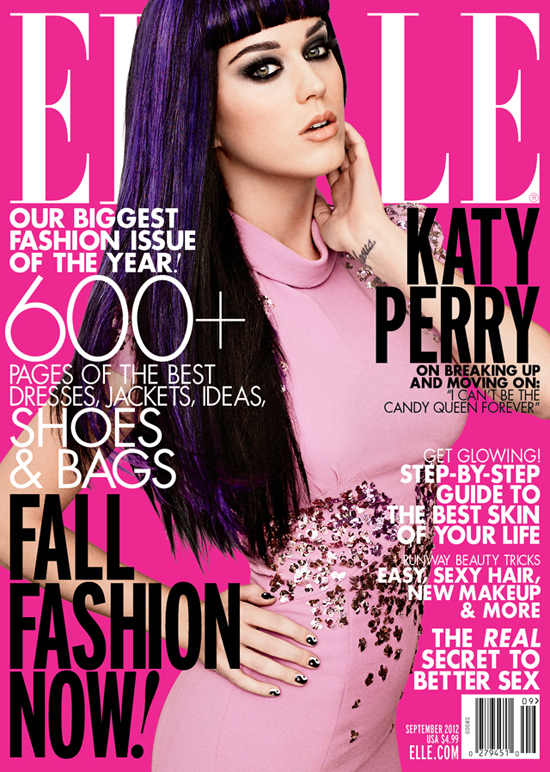 Katy Perry is pretty in pink on Elle’s September cover.